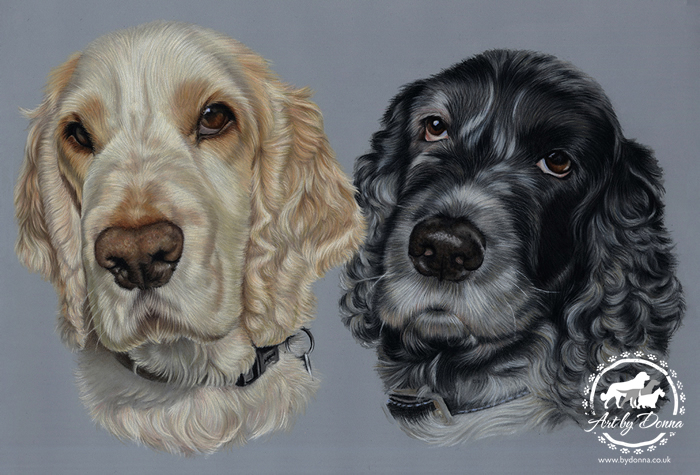 Commissioned as a very special birthday gift, this pet portrait brings together two much loved dogs who lived years apart. Freddy is still very much in his prime and loving life, whilst Harry, loved throughout his life, sadly passed away over ten years ago. Hand drawn on Pastelmat using artist grade coloured pencils using a selection of reference photos.